In 1941, the General Assembly took over the assets of the Connecticut College of Pharmacy and added this institution to the schools and colleges of the University of Connecticut. 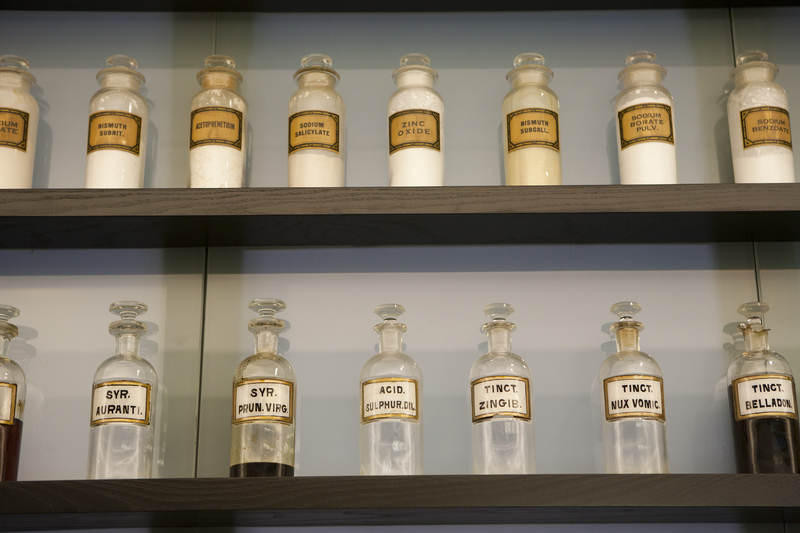 The pharmacy program, which had been “inaugurated under independent auspices” in New Haven in 1925, continued to operate there under State auspices until 1951, when the program was moved to Storrs. The School of Pharmacy has offered the Doctor of Pharmacy (Pharm.D.) as its sole professional degree since 1997. The professional program requires completion of the two years of pre-Pharmacy requirements, two years in the professional program leading to a Bachelor of Science with a major in Pharmacy Studies (B.S. Pharmacy Studies), followed by two additional years leading to a Doctor of Pharmacy (Pharm.D.). This professional B.S./Pharm.D. program is a full-time, four-year professional program (146 credits professional program plus 64 credits pre-pharmacy for a total of 210 credits), making the Pharm.D. graduate eligible to stand for licensure. For the last two years of the professional program (Pharm.D. years), there will be additional tuition and required fees for in-state students and proportional increases for New England Regional and out-of -state students. earned at least a 2.0 grade point average for all calculable required pharmacy courses. The B.S. in Pharmacy Studies does not entitle an individual to sit for a pharmacy licensing examination. The Doctor of Pharmacy degree entitles an individual to sit for a pharmacy licensing examination. This program targets a small number of highly motivated students who seek to combine pharmacy education suitable for professional licensure with advanced research-based training in Pharmacology or Toxicology. 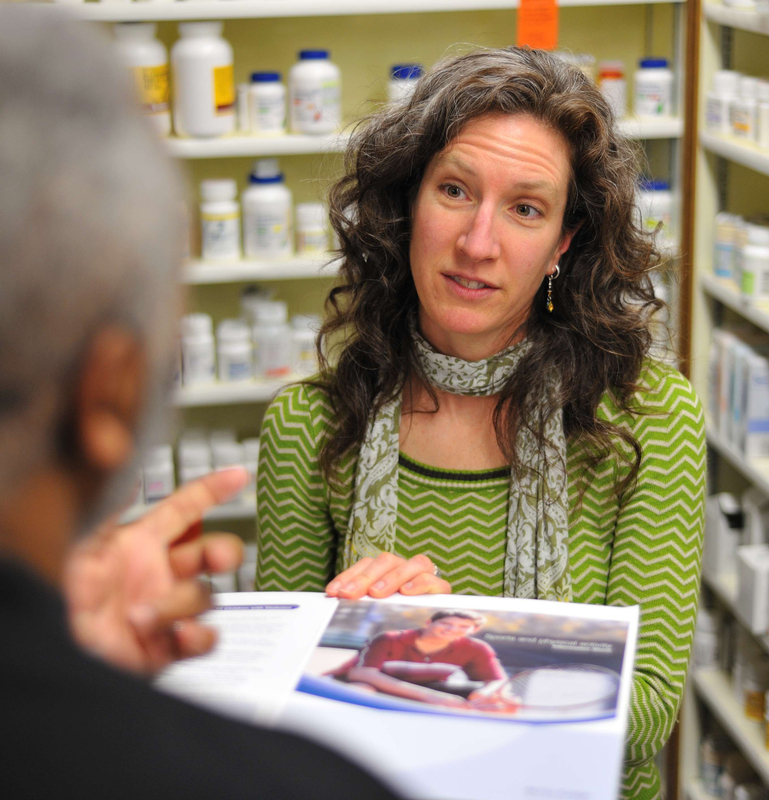 Students completing this program will earn consecutive dual degrees, the Pharm.D. and the Ph.D. Students in the dual track are afforded early acceptance into the Ph.D. program and, if they successfully complete the Pharm.D. curriculum, a modified graduate curriculum will be tailored to shorten the total time required to complete the Ph.D. degree. Students must meet the admission requirements of both programs and apply to the Ph.D. program in the spring semester of the P2 year as they complete the B.S. in Pharmacy Studies. A dual degree Pharm.D./MBA program is offered to highly motivated students who seek to combine pharmacy education with business managerial knowledge and skills. After completing the first two years of study in the School of Pharmacy, students enroll in the MBA program for the third year and then return to the School of Pharmacy for the last two years of the Pharm.D. program, which would consist of both pharmacy and business courses. Students must meet the admission requirements of both programs and apply to the MBA program in the spring semester of the P2 year as they complete the B.S. in Pharmacy Studies. Both the Pharm.D. and the MBA will be conferred simultaneously after the program requirements have been successfully met. A dual degree Pharm.D./MPH program is offered to highly motivated students who seek to combine pharmacy education with special skills in public health as it relates to pharmacotherapy and health promotion, disease prevention and medication safety. After completing the first two years of study in the School of Pharmacy, students enroll in the MPH program for the third year and then return to the School of Pharmacy for the last two years of the Pharm.D. program, which would consist of both pharmacy and public health courses. Students must meet the admission requirements of both programs and apply to the MPH program in the spring semester of the P2 year as they complete the B.S. in Pharmacy Studies. Both the Pharm.D. and the MPH will be conferred simultaneously after the program requirements have been successfully met. 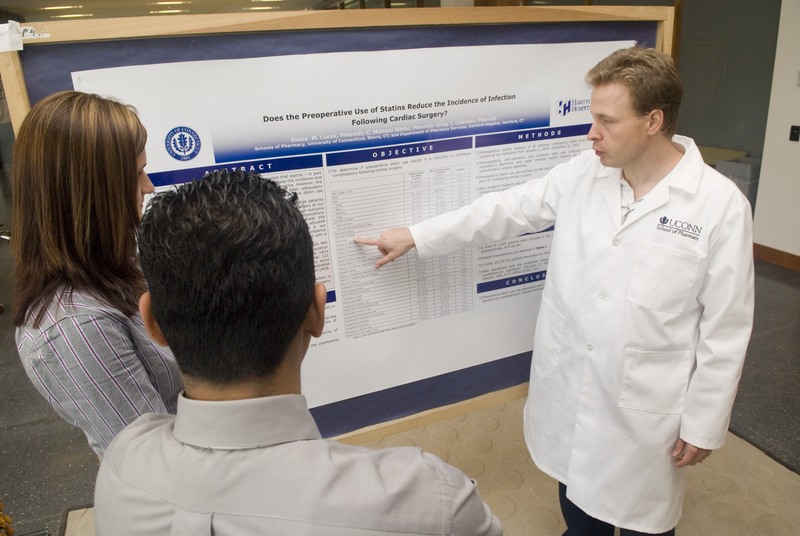 The University of Connecticut’s Doctor of Pharmacy program has been granted full accreditation by The Accreditation Council for Pharmacy Education (ACPE). The School of Pharmacy also offers a number of courses leading to the degrees of Master of Science and Doctor of Philosophy. Students holding the degree of Bachelor of Science may prepare for the Doctor of Philosophy degree with a major in pharmaceutics, medicinal and natural products chemistry, pharmacology or toxicology. The Master of Science degree in pharmaceutical sciences may be awarded in the above subject areas and pharmacy administration (see the Graduate School Catalog). In conformity with plans approved by the Boards of Trustees of the six New England land grant universities for regionalization of certain fields of specialized education, the University of Connecticut School of Pharmacy has been designated as a regional New England school for all other New England states except Rhode Island. Regional students enrolled in the professional program receive a tuition savings over out-of-state tuition rates. Admission to the professional program in Pharmacy is competitive. Students should apply for admission to the School of Pharmacy after completion of their third semester of study for entry into the professional program in the following September. All required math, science and English courses must be completed by May for entry into the professional program in the following fall semester. Sociology and economics must be completed before admission into the fall semester. Students who have not fulfilled the University General Education requirements before they enter the professional program will have to complete those courses by May of the second professional year. Admission to the School of Pharmacy is competitive and based upon: 1) cumulative grade point average in the math and science prerequisites; 2) Overall academic performance; 3) PCAT score; 4) Pharmacy-related experience; 5) Recommendations and personal statement; and 6) Personal interview. Students will be considered for an interview on a competitive basis. An outstanding academic record may be one of the components used to prioritize student interviews. Students receiving an interview should not assume that they will be admitted to the professional program. A criminal background check will be conducted on all accepted students. Applications should be submitted to PharmCAS on or before the January deadline. Students considering a professional career in pharmacy should explore UConn’s Special Program in Pharmacy, a path to pharmacy school that offers students a unique opportunity for academic, personal, and social development and enrichment during their pre-pharmacy years. This program encourages students to explore diverse opportunities, creating a more diverse and well-rounded student for entry to the professional school. Students in this program will be connected with the School of Pharmacy through special seminars, research opportunities, and health-profession events. Students who have completed their pre-pharmacy curriculum at regionally accredited degree-granting institutions of higher education in the United States will be eligible to apply for direct admission to the Doctor of Pharmacy Professional Program. Preference will be given to University of Connecticut students (regardless of residency), Connecticut state residents and New England Regional students (MA, ME, NH, VT). Connecticut State Residency is determined by the standards set forth by the Connecticut State Statutes. Applications to the University by direct transfer students are due April 1. Transfer students who have completed their pre-pharmacy curriculum at an international institution are not eligible to apply. Students who have already met pharmacy program prerequisites are not eligible for admission to the pre-pharmacy program. Transfer applicants to pre-pharmacy should have completed no more than one year of college-level study in pharmacy program prerequisites: CHEM 1127Q–1128Q; BIOL 1107; PHYS 1201Q; ENGL 1010; MATH 1131Q. Applicants who exceed this restriction will be considered automatically for the Academic Center for Exploratory Students (ACES). Please note that admission to transfer students to pre-Pharmacy or to ACES is not a guarantee for eventual admission into the School of Pharmacy. To calculate the cumulative math/science prerequisite GPA, the total grade points earned for courses are divided by the number of total credits. When approved course substitutions are taken, the courses are treated as substitutions and not as replacements for specific prerequisite courses. For example, grades for MATH 1125Q and 1126Q will be averaged and substituted for MATH 1131Q. Grades for CHEM 1124Q, 1125Q, and 1126Q will be averaged and substituted for CHEM 1127Q and 1128Q. The required prerequisite for Biochemistry is MCB 2000. However, MCB 3010 may be a substitute. The same applies for other approved substitutions. The required prerequisite for physics is PHYS 1201Q (four credits). With approval from the School of Pharmacy, PHYS 1401Q, 1501Q, etc. can be substituted for PHYS 1201Q. However, taking another physics course (e.g. PHYS 1401Q, 1501Q, etc.) in addition to PHYS 1201Q may be considered repetition of a prerequisite. When AP work is applied toward prerequisites, the number of total prerequisite credits is reduced by the number of credits earned by that AP work. The School of Pharmacy does not round when calculating grade point averages. For example, a 2.99 will not be rounded to a 3.00. It is essential that Pharmacy students have excellent written and oral communication skills. Students must be able to communicate effectively with patients, physicians and with other members of the health care team. The academic version of the International English Language Testing System (IELTS) is required of all applicants and U.S. citizens or permanent residents for whom English is not the native language and/or primary language of instruction. A minimum score of 7.5 is required for admission to the program. A minimum cumulative grade point average of 2.0 is required for graduation. In addition, to demonstrate competency in pharmacy practice and oral communication skills, the student must receive a grade of 2.0 or above in PHRX 5047 to continue into the clinical experience sequence. For any grade less than a C- in a required pharmacy course, one occurrence at any time in pharmacy school would result in probation and intervention by the Associate Dean. Two occurrences at any time in pharmacy school would result in review by the Academic and Technical Standards Review Committee with recommendations for appropriate action to the Associate Dean. Three occurrences at any time in pharmacy school would result in a recommendation for dismissal by this committee to the Associate Dean. Following any leave of absence from the professional program, the school reserves the right to impose certain requirements before returning to the program, up to and including academic assessments. Students admitted to the School of Pharmacy must have the ability to safely apply their knowledge and skills to effectively interact with patients and others in educational and health care settings. Basic nonacademic qualifications required in addition to academic achievements are considered essential for admission and successful completion of the pharmacy curriculum. Thus, candidates for the B.S. in Pharmacy Studies and for the Doctor of Pharmacy degrees must be able to perform essential functions in each of the following categories: Observation, Behavioral and Social Attributes, Intellect, Communication, and Psychomotor Skills. Upon request of the student, the University will make good faith efforts in providing reasonable accommodations as required by law. A technical and academic standards committee will review students who have not met either academic and/or technical standards. The student has the right to appeal any decision of this committee in writing to the Office of the Dean of the School of Pharmacy. Students in the School of Pharmacy may be eligible to participate in a variety of enrichment programs. These include independent research projects with a faculty mentor, the Honors Program, and the University Scholars Program. Each of these programs offers the motivated student a way of individualizing their intellectual environment to better meet their needs while providing distinction to their academic record. For more information on these programs, ask to speak with the Pharmacy Honors Advisor. All students by the end of the first semester in the professional phase of their program are required to have an initial physical examination including CBC and urinalysis. Additionally, all students are required to have Rubeola Titer; a Varicella Titer; a Rubella Titer (note: even though you may have already had measles and/or chicken pox as a child, you still need titers); a DT (Diphtheria/Tetanus) shot; Hepatitis B immunization (a series of three injections for Hepatitis B and mandatory post-titer level); and a PPD. The Tuberculin Test or PPD must be repeated annually. In addition, a medical release form must be signed annually. Rubella immunization is necessary if the titer is absent. You must have had an updated Tetanus immunization within the last 10 years. Students may have the health requirements conducted by Health Services or may elect to have the physical examination and required tests performed by a private physician. In addition, the School of Pharmacy will provide, in compliance with the OSHA Blood Borne Pathogen Standard, mandatory annual educational sessions for all students. Students must provide their own transportation to experiential sites during the professional program. They should allow for transportation expenses, which would include cost of gasoline and parking fees where necessary. All students in the professional phase of their pharmacy education are required to carry health insurance as stated in the University’s health policy. It is the student’s responsibility to present a completed Verification of Health Form to the Director of Experiential Education at the School of Pharmacy. This must be done annually, prior to the start of the third full week of classes. It is also the student’s responsibility to re-present proof of coverage (by filling out a Verification of University of Connecticut Health Insurance Form) to the Director of Experiential Education in advance of the expiration date should it occur sometime in the middle of any semester. Any medical expenses incurred by the student while participating in the clinical portion of the program will be assumed by the student. All students in the professional phase of their curriculum are required to carry specific professional liability (malpractice) coverage. You will automatically be billed for this on your University fee bill. Although the State of Connecticut has statutory protection for students in “field placement programs” (Chapter 53 of the Connecticut General Statutes), there are sites that will not accept this as adequate protection. Therefore, the School of Pharmacy has required all students to have the blanket University malpractice coverage. 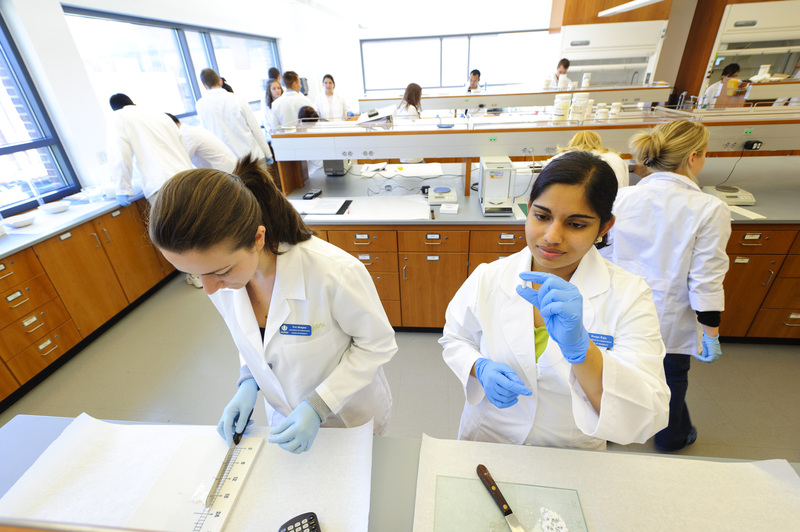 Students wishing to take a second degree in another school or college should consult the Associate Dean of the School of Pharmacy early in their professional program. It is mandatory that all Pharmacy students register with the Connecticut Board of Pharmacy upon enrollment into the Pharmacy professional program. Failure to receive and maintain a valid Pharmacy intern card will result in students not being allowed to participate in experiential courses or any of the other practice component of the curriculum. Any request for information concerning Connecticut internship training requirements and other qualifications for examination and licensure as a pharmacist should be addressed to The Board Administration, Commission of Pharmacy, State Office Building, Hartford, Connecticut. Students seeking licensure in other states should contact the Boards of Pharmacy in those states. Mathematics and Science Courses: CHEM 1124Q, 1125Q, and 1126Q; or CHEM 1127Q, 1128Q; CHEM 2443, 2444; BIOL 1107; PHYS 1201Q; MATH 1131Q; MCB 2000 or 3010, 2610; PNB 2264, 2265 or 2274, 2275. English Courses: ENGL 1010 or 1011. Social Sciences Courses: ECON 1201; 1000-level sociology or psychology or anthropology course. Information Literacy Competency: Information literacy competencies will be met through successful completion of program major courses. Writing in the Major: PHAR 3087W or PHRX 4001W will satisfy the writing in the major competency. First Semester: CHEM 1127Q; BIOL 1107; ECON 1201 1; MATH 1131Q. Second Semester:CHEM 1128Q; ENGL 1010 or 1011; PHYS 1201Q; Arts and Humanities course (GER Content Area 1); Diversity course (GER Content Area 4). First Semester: CHEM 2443; PNB 2264; Diversity course ( GER Content Area 4); SOCI 1001 1, 2; MCB 2610. Second Semester: CHEM 2444; PNB 2265; GER W course; MCB 2000 or 3010; Arts and Humanities course from GER Content Area 1. 1 These courses need not be taken in the semester indicated, but must be completed during the first two years. 2 Any 1000-level sociology, psychology, or anthropology course. This course need not be taken in the semester indicated but must be completed during the first two years. Students will be admitted to the Pharmacy Studies degree program after completion of the two-year pre-pharmacy program (64 credits) and acceptance by the Admissions Committee. First Semester (19 credits): PHRX 3000, 3002, 3006, 3008, 3009, 3020, 3030, 3050. Second Semester (18 credits): PHRX 3001, 3003, 3007, 3011, 3021, 3031, 3032, 3040. First Semester (18 credits): PHRX 4010, 4020, 4030, 4031, 4040, 4041, 4050; 3 credits of Professional Electives. Second Semester (18 credits): PHRX 4000, 4001W, 4011, 4021, 4042, 4043, 4044, 4051; 3 credits of Professional Electives. Students must complete two additional years to earn the Pharm.D. with a total of 210 credits. First Semester (18 credits): PHRX 5010, 5020, 5040, 5041, 5042, 5046, 5047; 3 credits of Professional Electives. Second semester (19 credits): PHRX 5011, 5021, 5043, 5044, 5045, 5048; 3 credits of Professional Electives. Students must have completed the B.S. in Pharmacy Studies and the first year of the Pharm. D. program. Rotating Professional Experiences (required): Rotating professional experiences, one month (four credits) each for a total of 16 credits. Courses (direct patient contact indicated by D notation): PHRX 5100D, 5101, 5102D, 5103D. With the approval of the Director of Experiential Education, substitutions may be made. Students who desire to be excused from any of these requirements or to substitute other courses for those prescribed, should consult the Associate Dean of the School. The Dean of the School of Pharmacy must approve such exemptions or substitutions. Any waivers or substitution for professional courses must be approved by the School of Pharmacy Curriculum Committee.